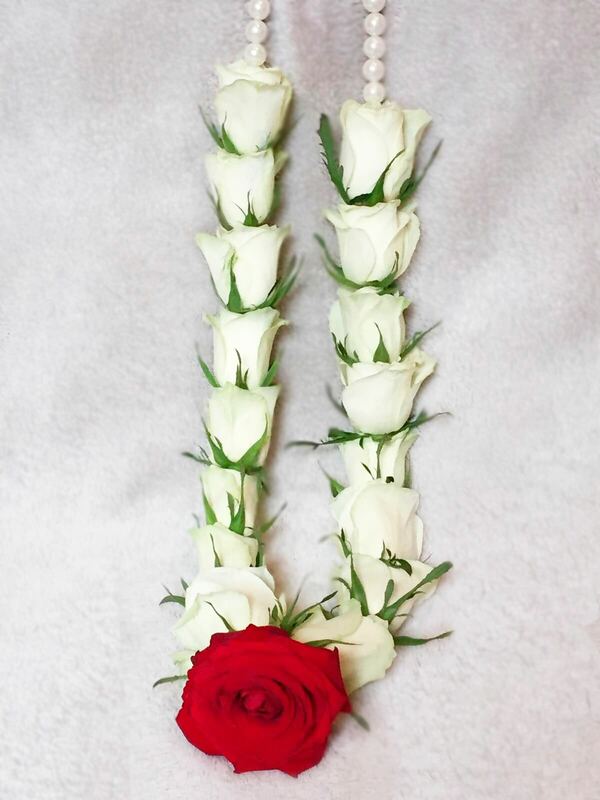 If you are looking for a wedding garland for your special day, you are in the right place! 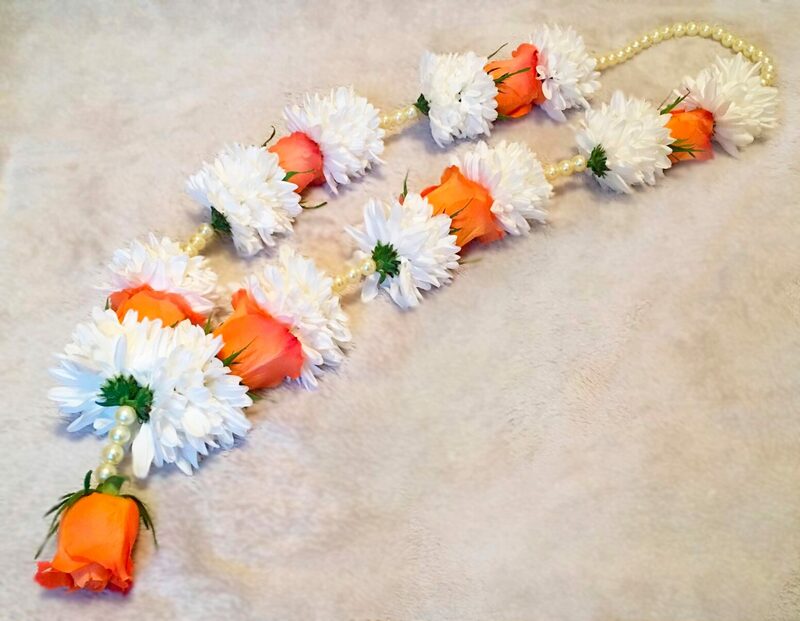 Usually used for Asian weddings, floral garlands are an important part of the Asian culture and traditions. 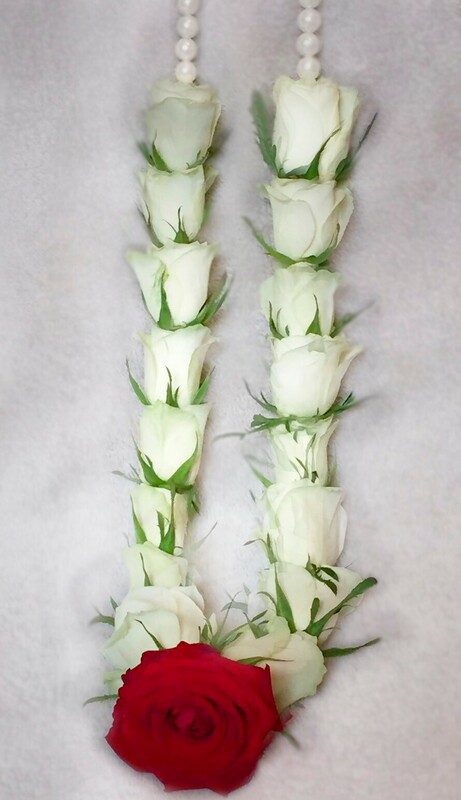 We can create and design the fresh flower garlands of your choice. 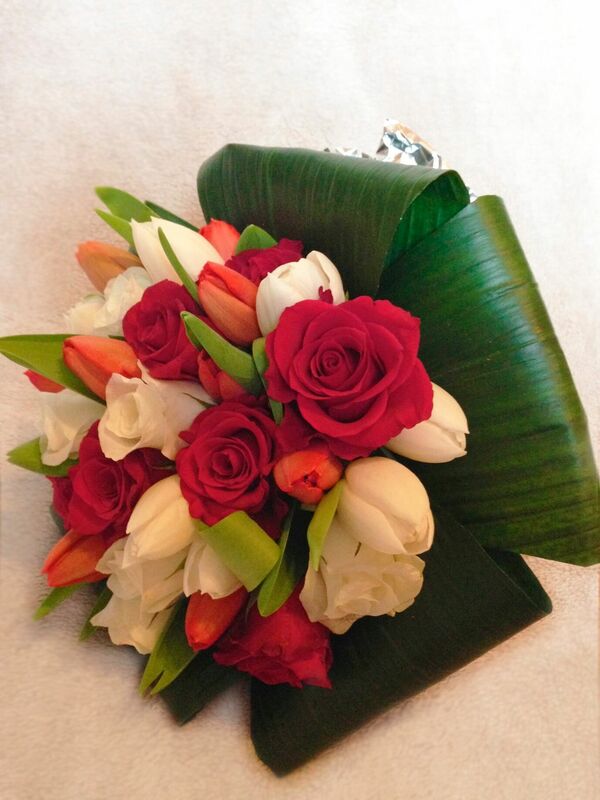 Just give us a few weeks’ notice per email or phone and we will take care of the rest. 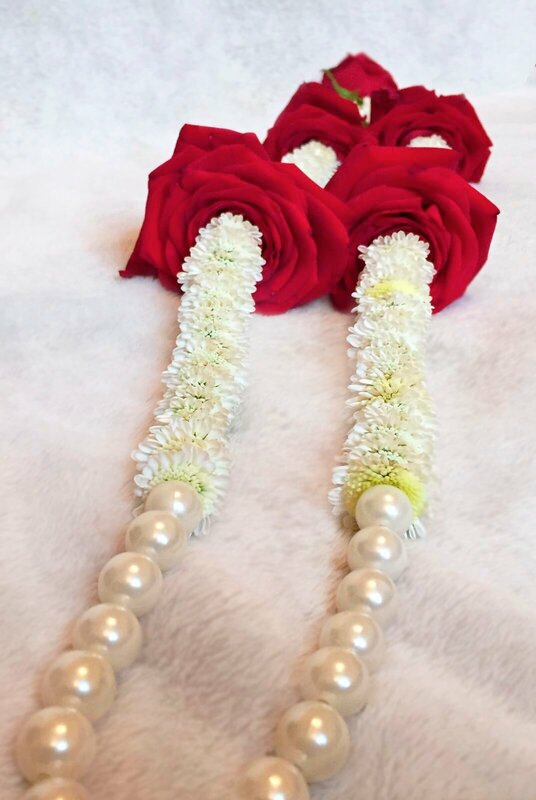 Fresh beautiful red and white garland made with red rose and white chrysanthemums, finished with pearl like beads and a diamante if required. 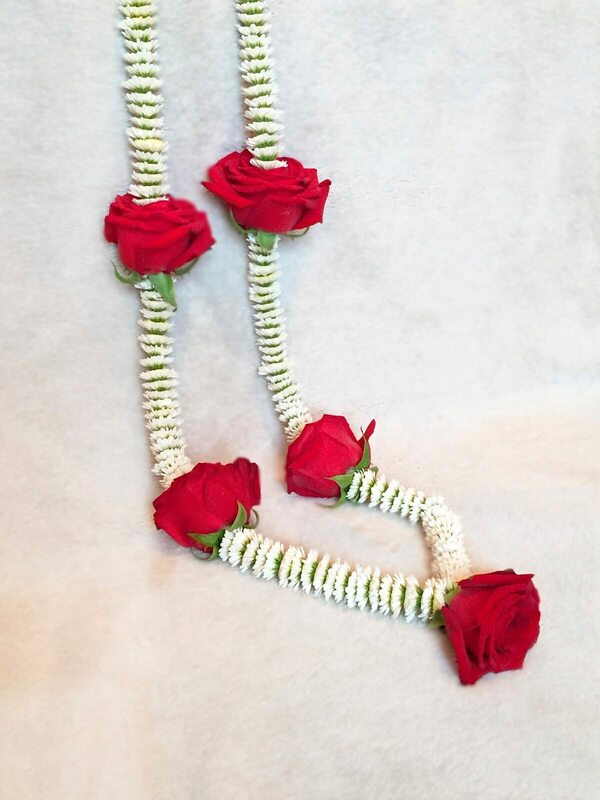 Please note the size depends on height on individual and normally measured from shoulder to hip. 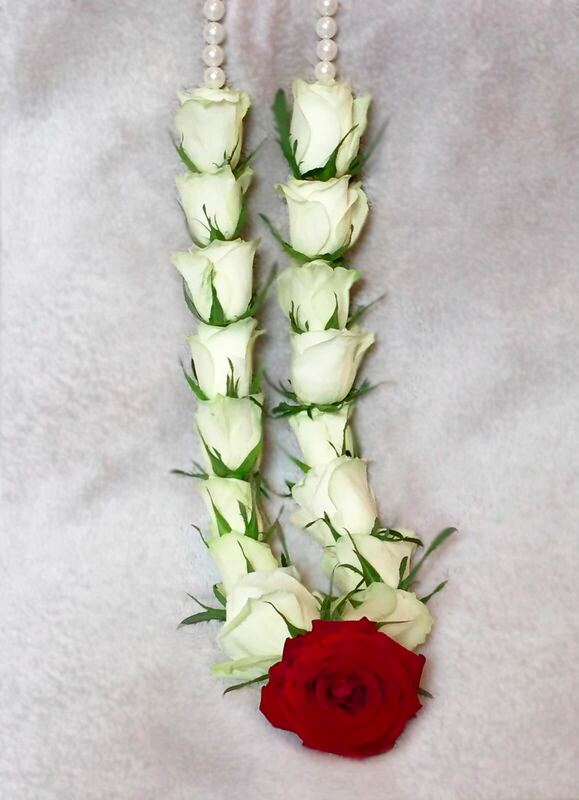 This garland is slim and elegant. 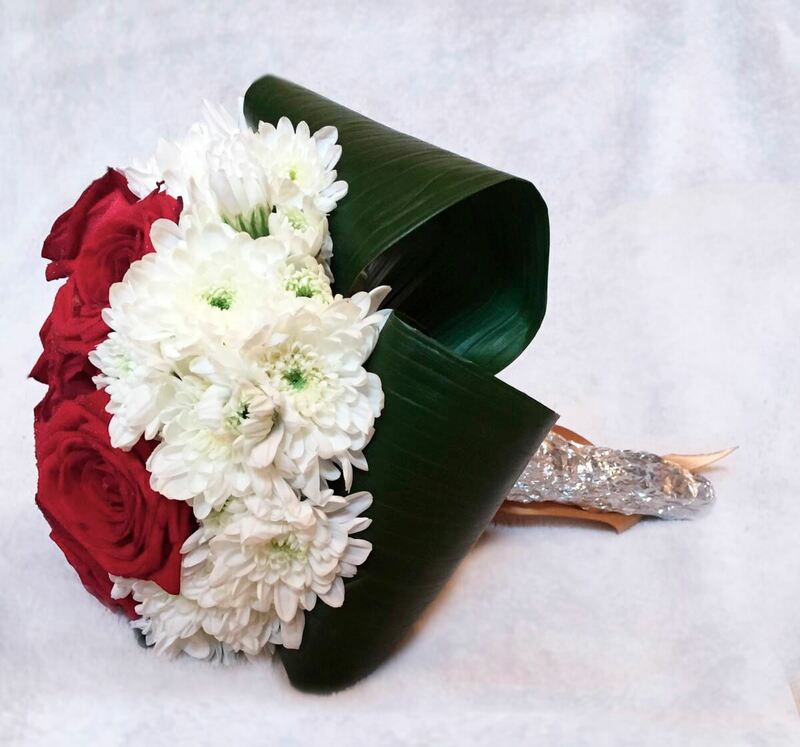 It is made with red roses and cream chrysanthemums finished with pearl like beads and diamante if required. Please note the size depends on height on individual and normally measured from shoulder to hip. 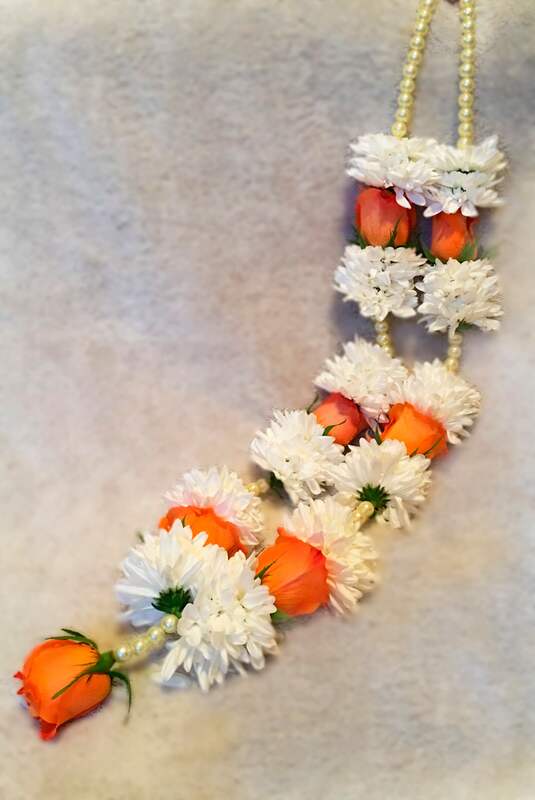 Beautiful garland made with orange-red roses and white Chrysanthemums. 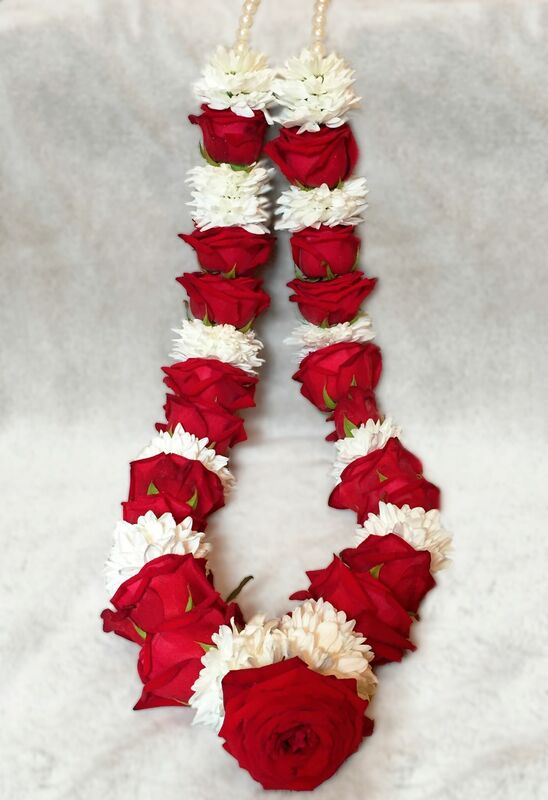 The garland has pearl beads between sets of flowers and a diamante if required. 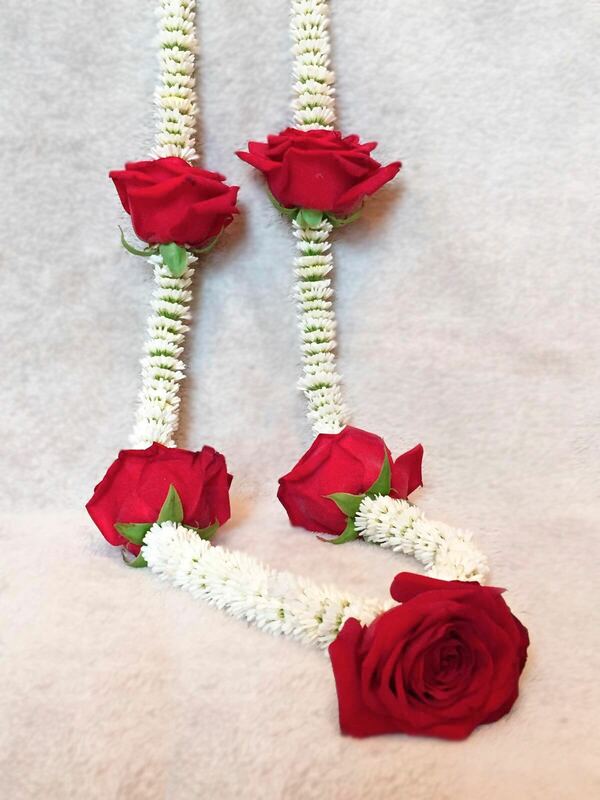 Please note the size depends on height on individual and normally measured from shoulder to hip. 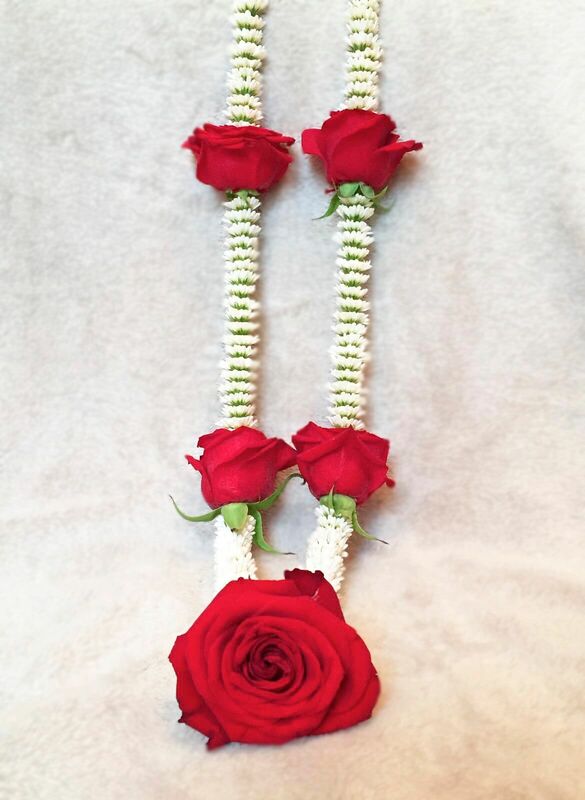 This is a wonderful white rose garland finished with a red rose and pearl like beads. 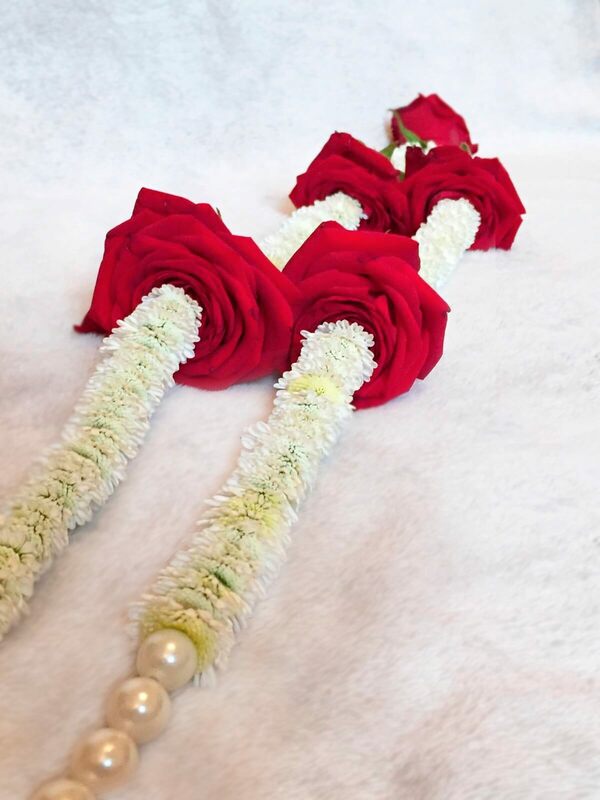 Wedding Kalgi’s is another exclusive product that we can design for your special day. 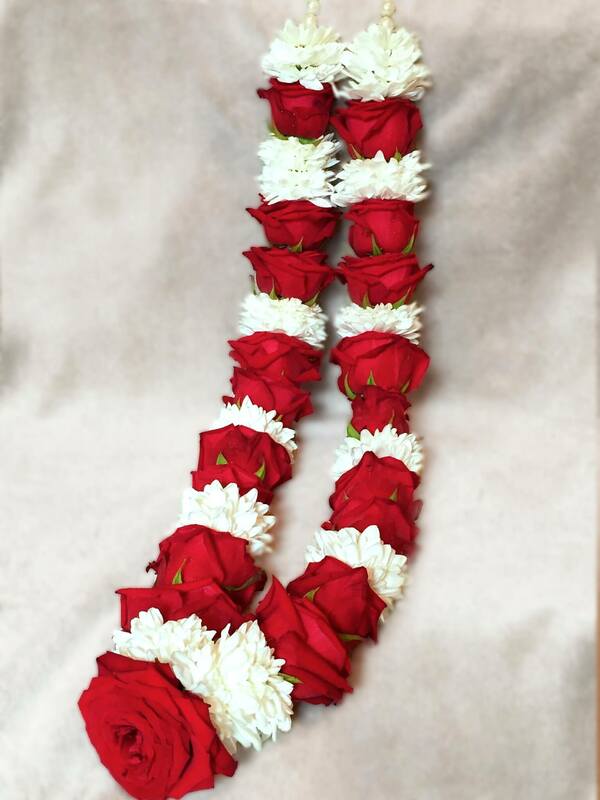 It is used usually for the groom’s entrance at an Indian wedding. 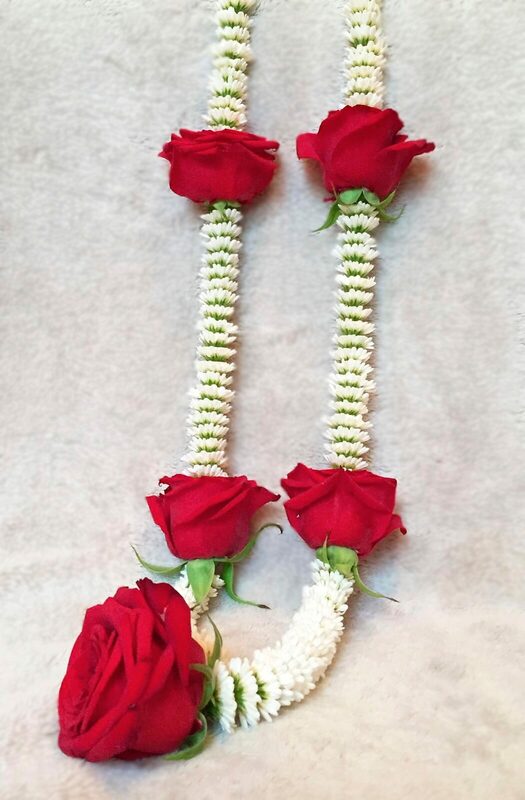 This is a tradition used for many generations. 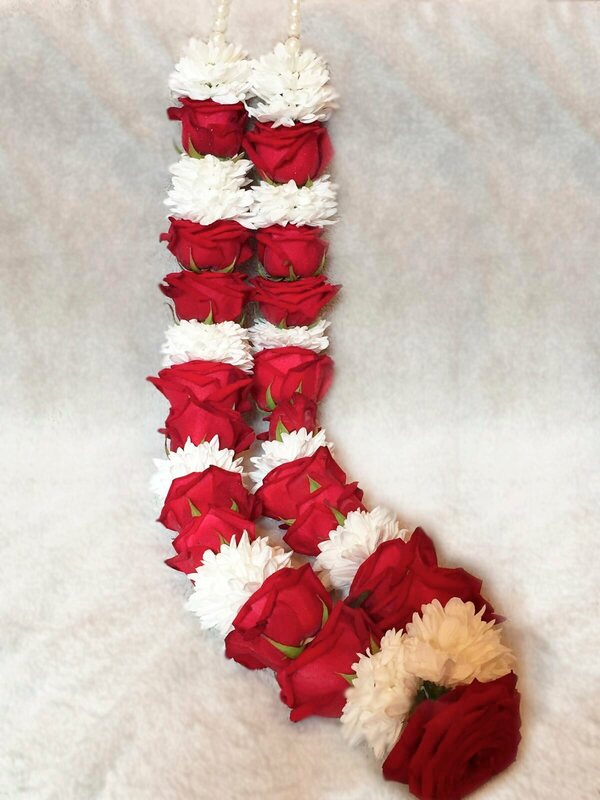 This Kalgi is made with red roses, white chrysanthemums, aspidistra leaves and foil for the handle. 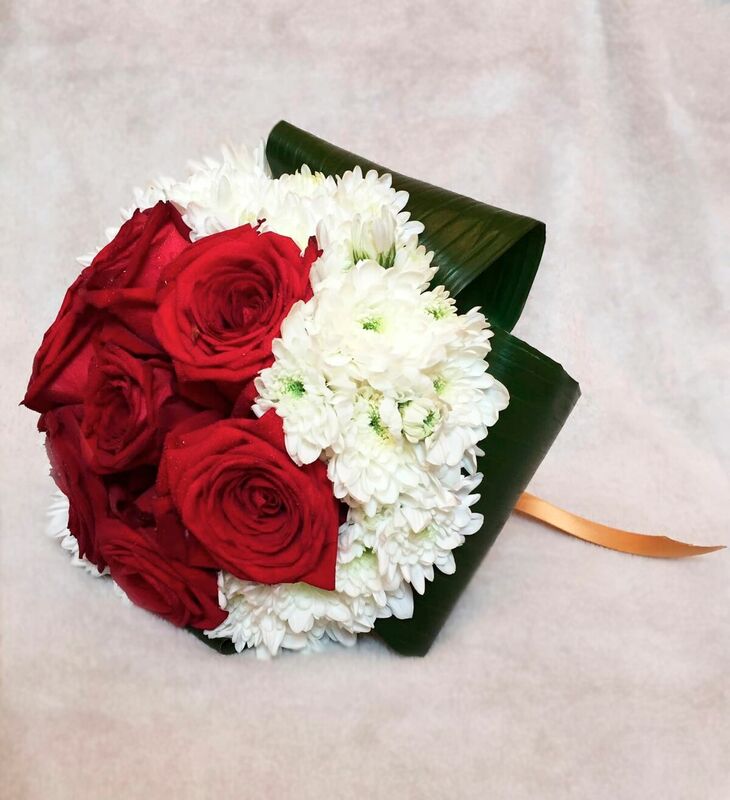 Please note you do not have to use the foil and have ribbon instead of your colour choice. 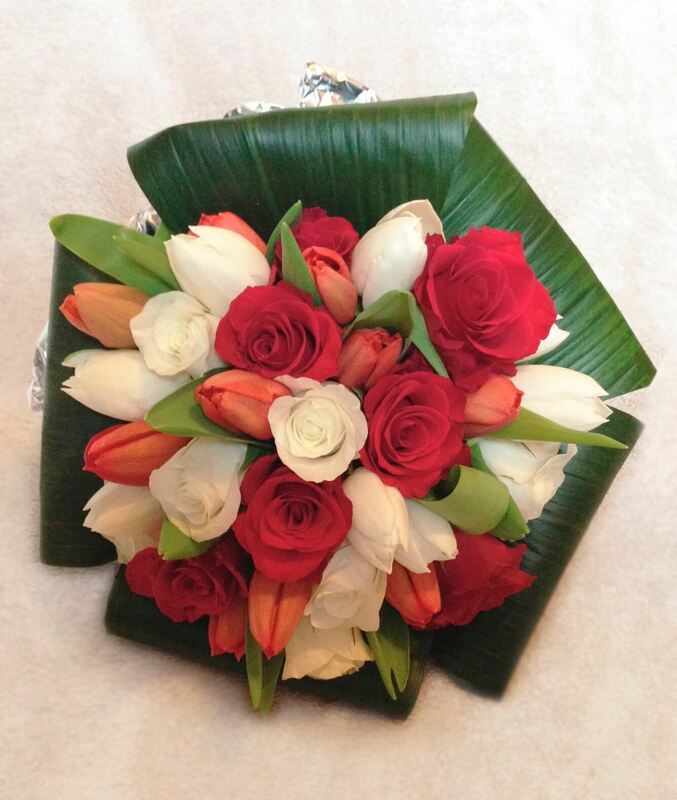 The Spring Kalgi is made of Tulip and aspidistra leaves with the ribbon colour of your choice.